Mozilla Thunderbird is an email client,news feed client and newsgroup designed around simplicity and fullfeaturedness while avoiding bloat. 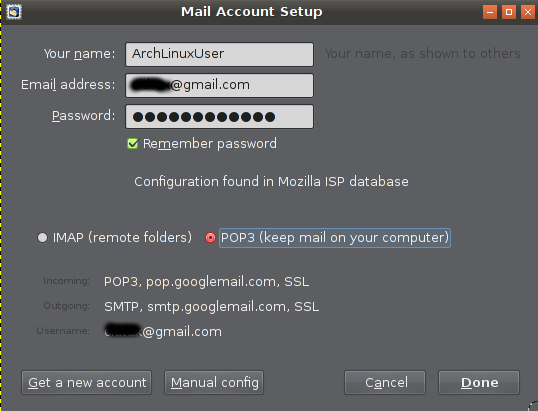 It supports IMAP, POP,S/MIME, SMTP, and OpenPGP encryption (with the Enigmail extension). Similar to Firefox, it has a wide variety of extension and addons available for download that add more features. 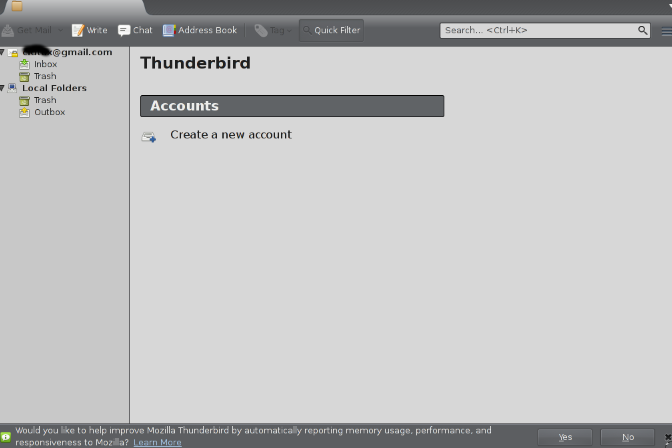 And run Thunderbird, you will be asked for configuring email. You can skip it, or configure later. I just close it by clicking [x]. 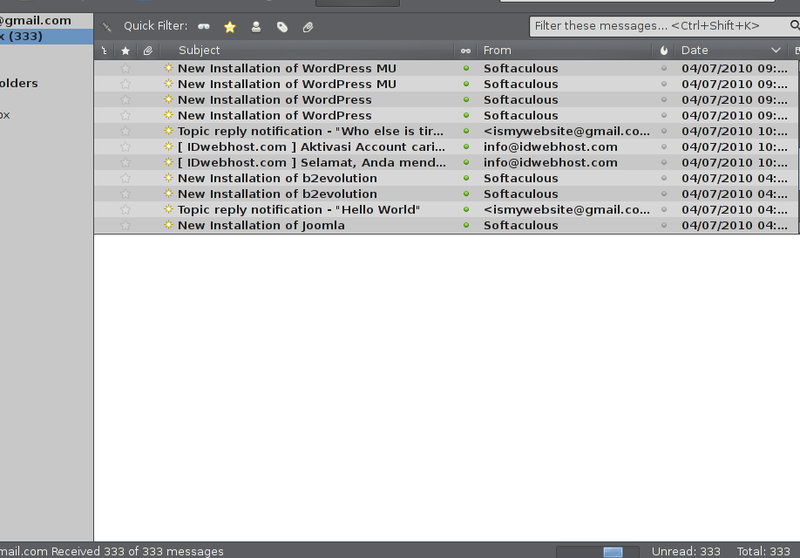 Then here's UI of thunderbird. Now setup the email. (For example, i will use gmail, yahoo, and cpanel webmail). click create a new account., then skip this and using my existing mail..
Insert your Name : Not must be same with your gmail account. and insert your existing gmail address & password. This will automaticly detected. You can choose IMAP and POP3. When Done, your account will be login using your email and password, here's when you done. Then right click on your email, click get messages. 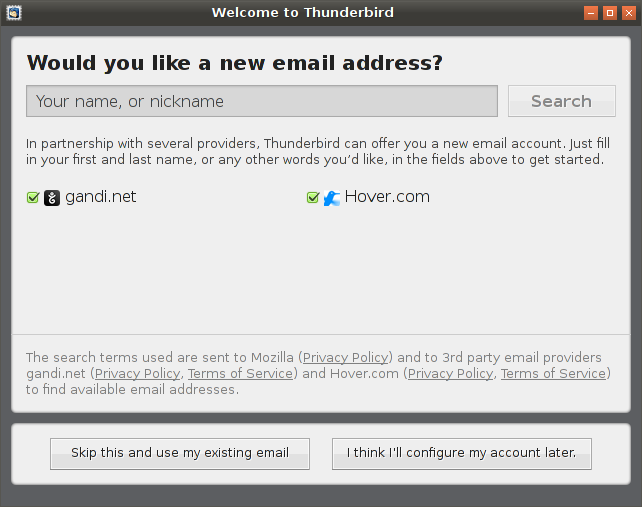 Now all of your email will be listed on thunderbird. To setup a second account / more click on menu then New, & Get a new email account. or existing mail account. configuration could not be verified thunderbrid yahoo. So i'm using IMAP. for yahoo client. 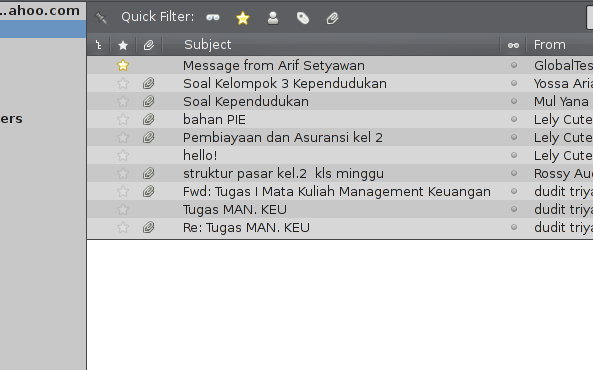 Then right click on email, get messages for reloading messages from mail. Here's the result. 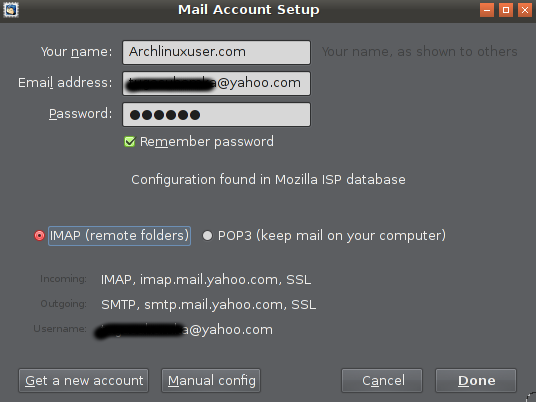 login to your webmail address of your site, and choose configure mail client. 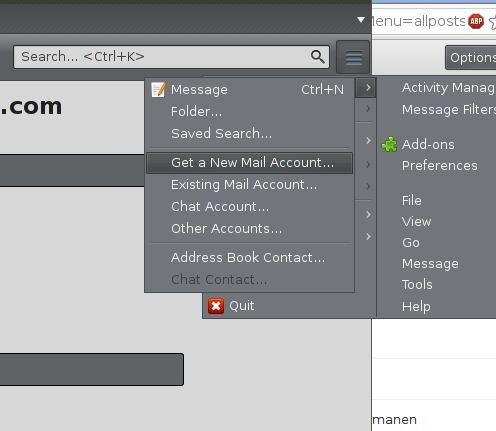 Then add new email on thunderbird, depend on your webmail cpanel settings. 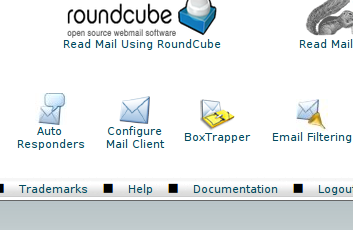 After you add , right click and get messages, to reload all mail from your webmail. 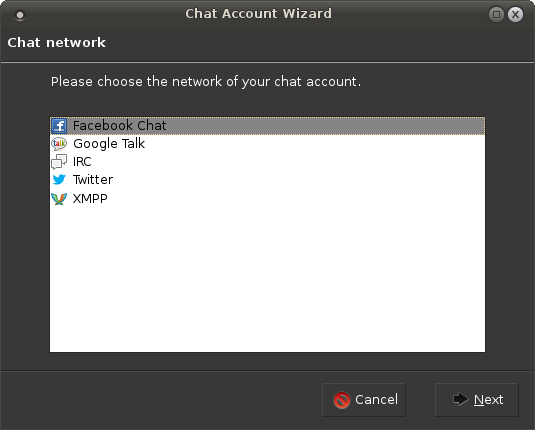 Choose then insert your name & password for that account, below is gtalk chat account. For chat account you can add more account all together, so you do not need to switch windows for each account. 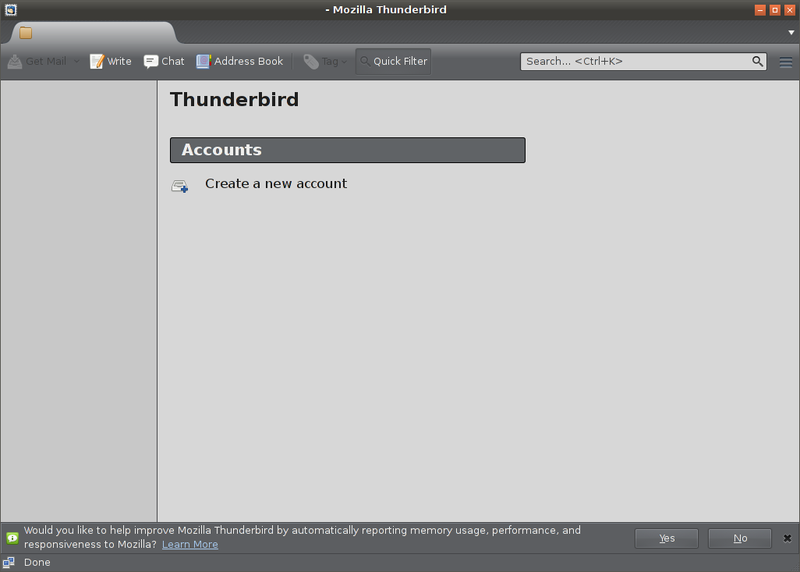 For thunderbird plugins and another feature, i will write in another post.